What’s Happening With 2013 Dolce? With 2013 Dolce fermentations coming to a conclusion, we are now preparing to determine the master blend. Eleven unique batches of juice were created over the course of harvest, and all but three finished primary fermentation by mid-February. The remaining lots are transitioning into the aging phase – which is both welcome and reassuring. Each lot will have its own sensory attributes and balance of alcohol, acidity and sweetness. Right now, the 2013 vintage is a pale, straw-like color with aromas driven by pineapple notes, like a pina colada. Color and flavor will develop in the coming months. For the next two years, we will sample all the barrels and prepare myriad blend variants in the lab. Although each batch tastes great now and is “on track,” it is not a foregone conclusion that all will make it to the final blend. 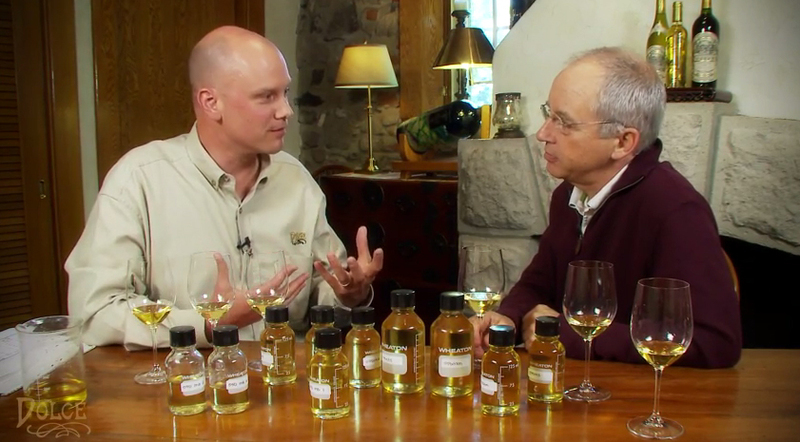 Check out our master blend video with Winemaker Greg Allen and Director of Winemaking, Dirk Hampson, on our Facebook. 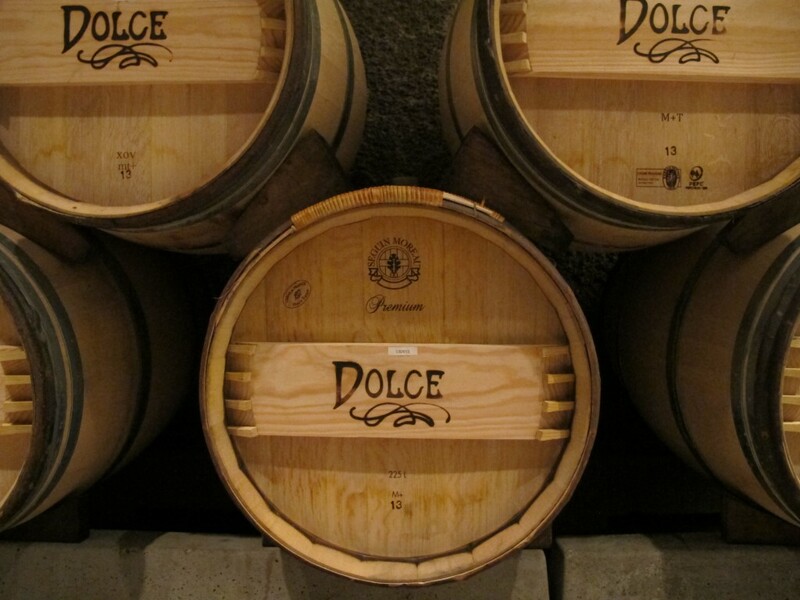 At Dolce, we’re devoted to the art of late harvest wine. Our blog chronicles the behind-the-scenes stories about our vineyards, winemaking and the personalities we encounter along the way. Join us on our journey! ©2019 Dolce Winery. All Rights Reserved.